Delicious homemade food, local ingredients, breakfast served all day. Indoor & outdoor seating with river view. 2015 & 2016 People's Choice Winner / Great Taste at Suntree. 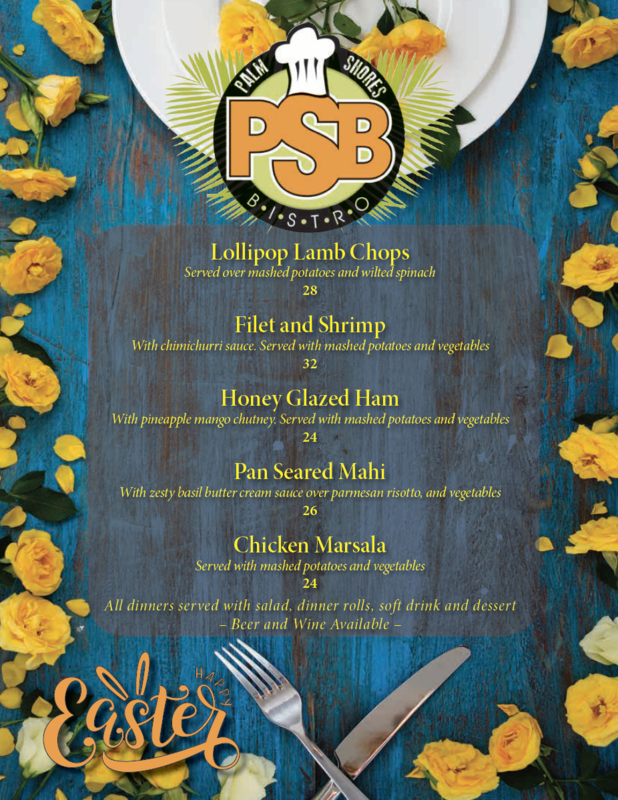 Welcome to Brevard’s Best Kept Secret – The charming Palm Shores Bistro is conveniently located on US 1 in Melbourne just south of Pineda Causeway. We invite you to break away from the chain restaurants and experience some delicious homemade classics like meatloaf and slow cooked pot roast. Traditional items such as French toast, Eggs Benedict, Country Fried Steak and Eggs and Biscuits & Gravy can be found on our breakfast menu as well as some more unique breakfast entrees’ like The Body Builder Omelet or the Midtown “Leo” Nova Scotia Lox and Onions. Any selection is sure to please your palate. Stop in and enjoy some soft serve ice cream either inside or on our beautiful outdoor deck where you can enjoy a breathtaking view of the Indian River. Our new outdoor deck has brand new furniture for you to sit back and relax in. 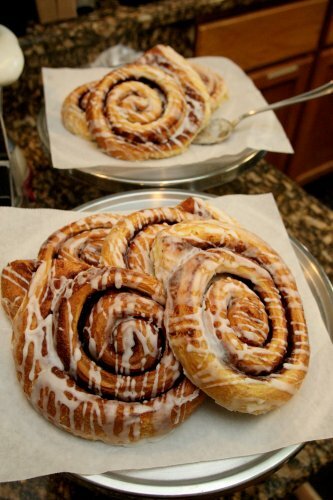 From our bakery you can enjoy homemade jumbo cinnamon rolls or muffins and fresh baked cookies. Looking to treat your office staff to lunch? Palm Shores Bistro also offers catering. We can customize a menu or meal for any event from cocktail parties to business functions. We are open 7 days a week for Breakfast, Lunch and Dinner. Our hours are Sunday - Tuesday 7:00 am - 3:00 pm and Wednesday – Saturday from 7:00 am – 9:00 pm. Breakfast served from 7 am - 2 pm daily. We serve beer and wine, offer indoor and outdoor seating and for your convenience we accept Visa, Mastercard and Discover. We also have gift cards available which make the perfect gift anytime!